Tom Arbour Photography: Can the Canon 7d Mark II See in the Dark? I've never used a camera that has had the ability to create a usable image above ISO 3200. At ISO 16,000, the 7d mark II can take a picture in light that is so dim that autofocus is nearly impossible. 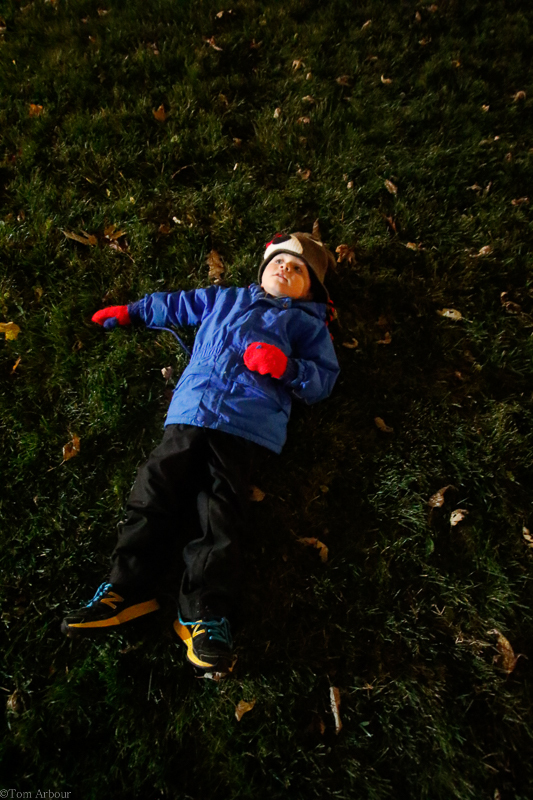 Brody lies on our front lawn in the pitch dark, watching the first snow flakes of the season flutter down. In the picture below, taken at the Columbus Zoo, I couldn't even tell what I was looking at. Brody said he saw an owl- but it didn't look quite right in the dark to me. 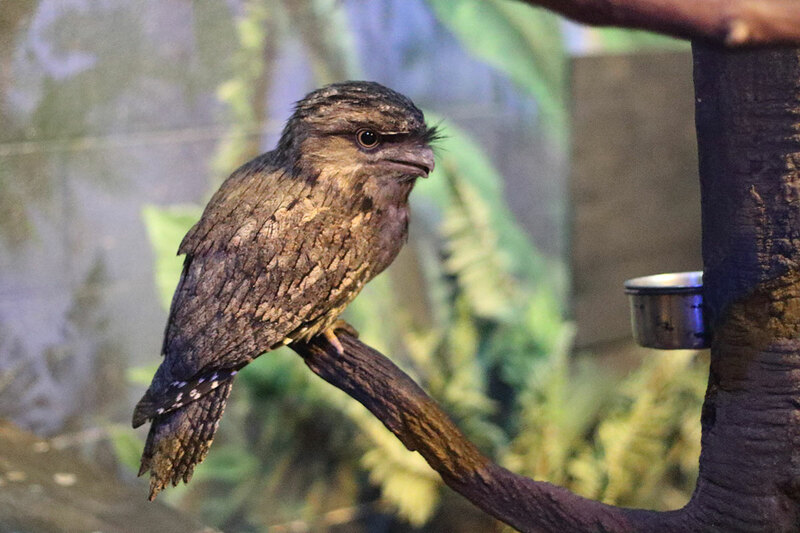 After a look at the interpretive sign next to the cage, I realized this shadowy figure was a tawny frogmouth, a notcurnal dweller of forests in Australia. I could barely make out the outline of the bird, let alone see any coloring or pattern. I wasn't even sure if I had my focus correct- it was that dark. At ISO 16,000 the 7d Mark II made an image that blew my own vision away.